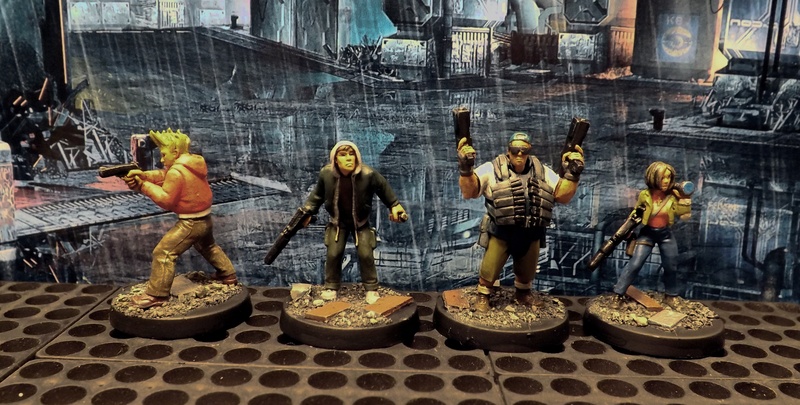 New crews for my Sci Fi adaptation of Pulp Alley. I’ll scout out vehicles soon. H+, also known as the TransHuman Coalition, is the direct action organization determined to advance Mankind to the next stage of human evolution via systematic, deliberate genetic and/or cybernetic enhancement. Their nemesis is the Purity First Movement, or P1, a loose association of environmentalists, anarchists, and religious groups convinced unregulated technological advances are destroying the physical and spiritual landscape of Earth.